I must say I am really impressed with this new piece of kit. Arborcheck fundamentally allows me to measure the health of a tree with nothing more invasive than gently stroking a leaf or two. It has been developed as part of a collaborative project between some prestigious organisations in the field of arboriculture. 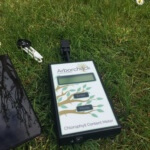 Arborcheck has been developed in response to the scale in which chlorophyll fluorescence is gaining popularity with Arborists around the world as an effective and comprehensive method of assessing tree health. 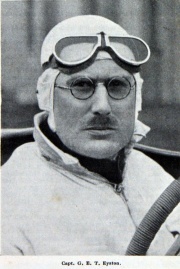 The techniques, principles and instrumentation involved have been and continue to be widely used in photosynthesis research projects the world over. 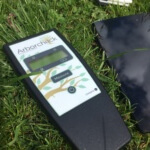 Arborcheck measures Chlorophyll Fluorescence from the leaves on trees. Think of how solar panels on your roof might work, when the light hits them an amount of the light is absorbed by the panels and used to create energy. However, even in a brand new solar system, not all the light can be absorbed, some of it is reflected into the atmosphere. A tree uses a not dissimilar method using the suns’ rays to aid photosynthesis. Like solar panels, the leaves of a healthy tree can only use a limited amount of the suns’ rays that land upon their leafy boughs – somewhere around 80-84%. Therefore, the surplus sunlight must be dissipated from the leaf, and this is done by emitting infra-red radiation in the form of heat and far red radiation which is chlorophyll fluorescence. However, the process of photosynthesis relies upon more than just input from the sun, so if the trees nutrient status and overall health is compromised in anyway (by disease or impediments in root function) the photosynthesis level will drop, and thus the demand for ultraviolet light. This can be apparent long before any signs or outwardly visible damage occurs. And if a tree reduces the ultraviolet sunrays it absorbs – it must therefore Dear Watson! -increase the amount of chlorophyll fluorescence emitted. So, by measuring the amount of chlorophyll fluorescence emitted by a leaf, and inputting the data via Arborcheck, we can make an assessment as to how effectively the tree is working. Arborcheck has comparative data already accumulated from over 275 species of broadleaved trees, so we know what an expected healthy tree specimen would emit in terms of chlorophyll fluorescence when it is in excellent health, thus if the tree we are assessing has any increase over this amount this may indicate there is an issue with the tree status. There comes our cue to investigate further. Early intervention on stress or diseased plants, can significantly improve the success rates for treatment or spread of a disease. Any non-invasive method which aid us to monitor health of trees is a great bonus. A client may have concerns about one of their trees, and even if there is no obvious issue a client can notice small changes over many years, but we are usually only called into visit after some deterioration has already taken place, so we cannot compare how the tree may have looked or bloomed previously. Also, we can use Arborcheck to safely assess whether a tree is healthy, despite recent events i.e. adverse development activity or pruning or accusation of damage to a TPO tree. 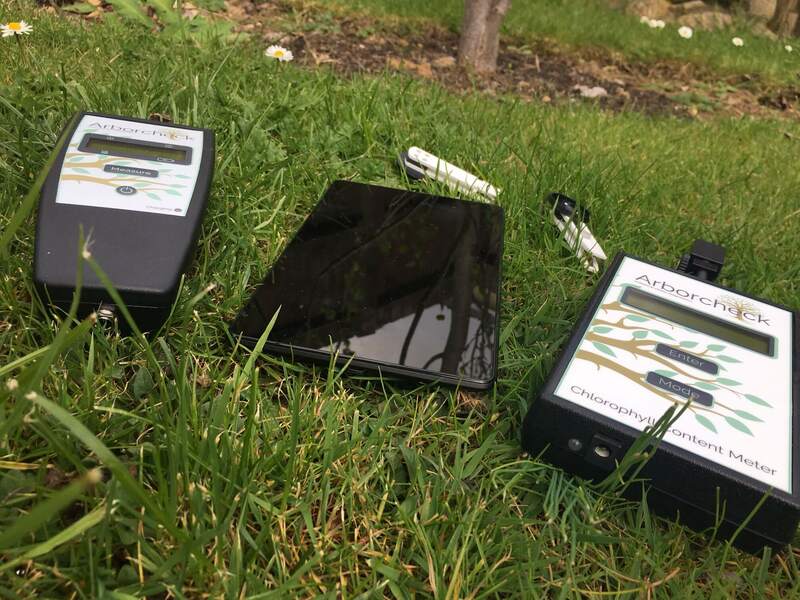 Additionally, the use of Arborcheck can assist in evidence gathering for prosecution in respect of alleged damage to a protected tree or woodland. Of course if you’ve just spent some money having nice new trees delivered you may also what to quality check them on arrival. Article written with thanks to www.arborcheck.com for images and quotes. 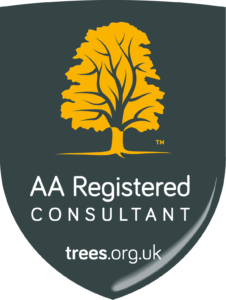 Arboricultural Association Registered Consultant (AARC) and what it means to me. What does it mean to be an Arboriculturalist Association Registered Consultant? At least 90% of the food we eat has at some stage been transported through the Phloem of the plants and trees around us. Phloem: In vascular plants, phloem is the living tissue that carries organic nutrients. To prove a decades-old hypothesis about how nutrients are transported in plants, a biologist set up shop 40 feet high in a red oak tree.